OAKVILLE, ON and ATLANTA, GA, Feb. 21, 2017 /CNW/ - Restaurant Brands International Inc. ("RBI") (NYSE/TSX: QSR, TSX: QSP) and Popeyes Louisiana Kitchen, Inc. ("Popeyes") (NASDAQ: PLKI) announced today that the companies have reached an agreement for RBI to acquire Popeyes for $79.00 per share in cash, or $1.8 billion. The acquisition of Popeyes will add a successful, highly-regarded brand with strong customer loyalty to RBI, one of the largest global quick service restaurant companies with two of the world's most iconic QSR brands – BURGER KING® and TIM HORTONS®. Founded in New Orleans in 1972, Popeyes has 45 years of history and culinary tradition and is the franchisor and operator of Popeyes® restaurants. Today Popeyes is one of the world's largest quick service restaurant chicken concepts with over 2,600 restaurants in the U.S. and 25 other countries around the world and its global footprint will complement RBI's existing portfolio of over 20,000 restaurants in more than 100 countries and U.S. territories. Under the terms of the transaction, Popeyes shareholders will receive $79.00 in cash per share at closing. This represents a premium of 27% based on Popeyes' 30-trading day Volume Weighted Average Price as of February 10, the last trading day before media speculation on the potential sale of Popeyes. Popeyes joins two of the world's most prominent and iconic quick service restaurant brands – BURGER KING® and TIM HORTONS® – as part of the RBI family. The BURGER KING® and TIM HORTONS® brands are owned by Restaurant Brands International Inc., one of the world's largest quick service restaurant companies with more than $24 billion in system sales and over 20,000 restaurants. RBI has a proven track record of growing its iconic brands by driving continued system-wide sales growth and expanding its restaurant footprint, while maintaining its focus on delivering great guest satisfaction and strong profitability for its franchise owners. To learn more about RBI, please visit the company's website at www.rbi.com. Founded in 1954, the BURGER KING® brand is the second largest fast food hamburger chain in the world. The original HOME OF THE WHOPPER®, the BURGER KING® system operates more than 15,000 locations in more than 100 countries and U.S. territories. Almost 100 percent of BURGER KING® restaurants are owned and operated by independent franchisees, many of them family-owned operations that have been in business for decades. To learn more about the BURGER KING® brand, please visit the BURGER KING® brand website at www.bk.com or follow us on Facebook, Twitter and Instagram. TIM HORTONS® is one of North America's largest restaurant chains operating in the quick service segment. Founded as a single location in Canada in 1964, TIM HORTONS® appeals to a broad range of consumer tastes, with a menu that includes premium coffee, hot and cold specialty drinks (including lattes, cappuccinos and espresso shots), specialty teas and fruit smoothies, fresh baked goods, grilled Panini and classic sandwiches, wraps, soups, prepared foods and other food products. As of December 31, 2016, TIM HORTONS® had more than 4,600 system wide restaurants located in Canada, the United States and the Middle East. To learn more about the TIM HORTONS® brand, please visit the TIM HORTONS® brand website at www.timhortons.com or follow us on Facebook, Twitter and Instagram. RBI was advised by Paul, Weiss, Rifkind, Wharton and Garrison LLP. Popeyes received financial advice from UBS and Genesis Capital LLC and legal counsel from King & Spalding LLP. RBI will host an investor conference call and webcast at 9:00 a.m. Eastern Time on Tuesday, February 21, 2017. The call will be broadcast live via RBI's investor relations website at http://investor.rbi.com and a replay will be available for 30 days following the release. The dial-in number is (877) 317-6711 for U.S. callers, (866) 450-4696 for Canadian callers, and (412) 317-5475 for callers from other countries. This press release includes forward-looking statements, which are often identified by the words "may," "might," "believes," "thinks," "anticipates," "plans," "expects," "intends" or similar expressions and include statements regarding (1) expectations regarding whether a transaction will be consummated or, if consummated, whether Popeyes will benefit from the global scale and resources of RBI, (2) expectations regarding whether adding another brand to RBI's family of brands will allow RBI to deliver growth opportunities for stakeholders, and (3) expectations regarding RBI's ability to accelerate Popeyes pace of growth in the U.S. and around the world. These forward-looking statements may be affected by risks and uncertainties in the business of RBI and Popeyes and market conditions, and include the following: (1) the risk that the acquisition will not close when expected or at all, (2) the risk that the conditions to the tender offer will not be satisfied, (3) the risk that the Company's business will be adversely impacted during the pendency of the acquisition, and (4) the risk that the operations of the two companies will not be integrated successfully. This information is qualified in its entirety by cautionary statements and risk factor disclosure contained in filings made by RBI and Popeyes with the U.S. Securities and Exchange Commission and the Canadian securities regulators, including RBI's annual report on Form 10-K for the year ended December 31, 2016 and Popeyes annual report on Form 10-K for the year ended December 27, 2015. 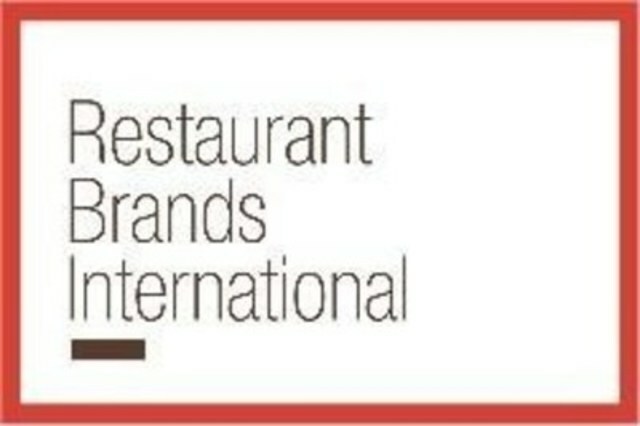 Both RBI and Popeyes wish to caution readers that certain important factors may have affected and could in the future affect their actual results and could cause their actual results for subsequent periods to differ materially from those expressed in any forward-looking statement made by or on behalf of RBI or Popeyes. Neither RBI nor Popeyes undertakes any obligation to update forward-looking statements to reflect events or circumstances after the date hereof. The proposed transaction described above has not yet commenced. This press release is not an offer to buy nor a solicitation of an offer to sell any of the securities of Popeyes Louisiana Kitchen, Inc.'s (the "Company"). The solicitation and the offer to buy the shares of Company common stock will only be made pursuant to a tender offer statement on Schedule TO, including an offer to purchase, a letter of transmittal and other related materials that Restaurant Brands International Inc. intends to file with the U.S. Securities and Exchange Commission (the "SEC"). In addition, the Company will file with the SEC a Solicitation/Recommendation Statement on Schedule 14D-9 with respect to the proposed transaction. Once filed, investors will be able to obtain the tender offer statement on Schedule TO, the offer to purchase, the Company's Solicitation/Recommendation Statement on Schedule 14D-9 and related materials with respect to the proposed transaction free of charge at the website of the SEC at www.sec.gov, and from the information agent named in the tender offer materials. Investors may also obtain, at no charge, any such documents filed with or furnished to the SEC by the Company under the "Investor Relations" section of the Company's website at http://investor.popeyes.com/. INVESTORS AND SECURITY HOLDERS ARE ADVISED TO READ THESE DOCUMENTS WHEN THEY BECOME AVAILABLE, INCLUDING THE SOLICITATION/ RECOMMENDATION STATEMENT OF THE COMPANY AND ANY AMENDMENTS THERETO, AS WELL AS ANY OTHER DOCUMENTS RELATING TO THE PROPOSED TRANSACTION THAT ARE FILED WITH THE SEC, CAREFULLY AND IN THEIR ENTIRETY PRIOR TO MAKING ANY DECISIONS WITH RESPECT TO WHETHER TO TENDER THEIR SHARES PURSUANT TO THE PROPOSED TRANSACTION BECAUSE THEY CONTAIN IMPORTANT INFORMATION, INCLUDING THE TERMS AND CONDITIONS OF THE PROPOSED TRANSACTION.